You will find The Mountain Camper mattress is the next step up from our Overnight Camp Deluxe mattress. 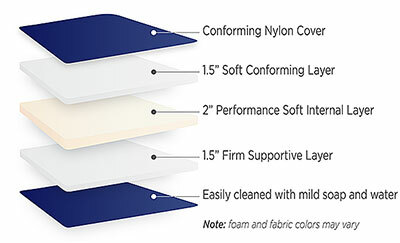 Our conforming nylon cover is smooth and soft yet durable for extended years of service. This mattress is great for all ages at a very competitive price. The design allows the mattress to be flipped and used on both sides for extended use. This is our Ultimate mattress designed for members and clubs with seasonal repeated visits. Everyone wants the comfort of the bed they have at home even when they’re not. The Western Camp Dream delivers that comfort. We have designed this mattress from the top down, giving you the best there is to offer, Guaranteed. The Western Camp Dream features an internal pillow-top utilizing the latest memory foam technology! 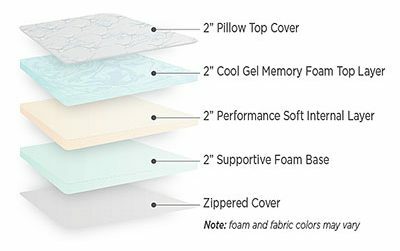 There are currently 100’s of different memory foam formulas available and we have found the best and incorporated them into our design. Our Outback Camper is the way to go if you’re looking for an affordable nights rest. This mattress offers comfort and affordability for any camper. With our heavy duty nylon cover and medium density foam this mattress is the best bang for your buck. One of the greatest things about this solid foam design is its ability to be flipped over for extended years of use. Our basic camp mattress, the Overnight Camp Deluxe is a dual sided economical camp mattress. Durable, vinyl cover,the solid foam technology allows this camp mattress to be flipped to use either side as the top for extended years of use. 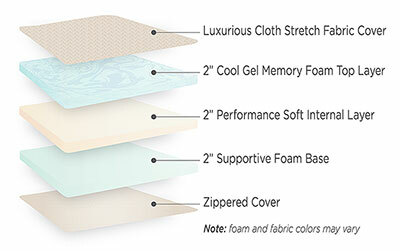 With medium density foam, this mattress can be used virtually anywhere while providing a comfortable night’s sleep.